Traveling is usually thought of as a group activity. After all, you probably spent your childhood on trips with your family or perhaps later hitting the beach on spring break with your college buddies. Though some may not agree, we think traveling alone can be one of the best, most fulfilling things you can do for yourself. If you’ve never thought about it, consider making your next trip drama-free and all about you with these 10 compelling reasons to give solo travel a try. If you’re used to traveling with others, or following plans you didn’t make, the power of being in charge of yourself is amazing. When you’re traveling alone, every good choice you make and every plan that goes right is all because of you, and that feeling of success if fantastic. Auston traveled to Mexico alone in September last year. 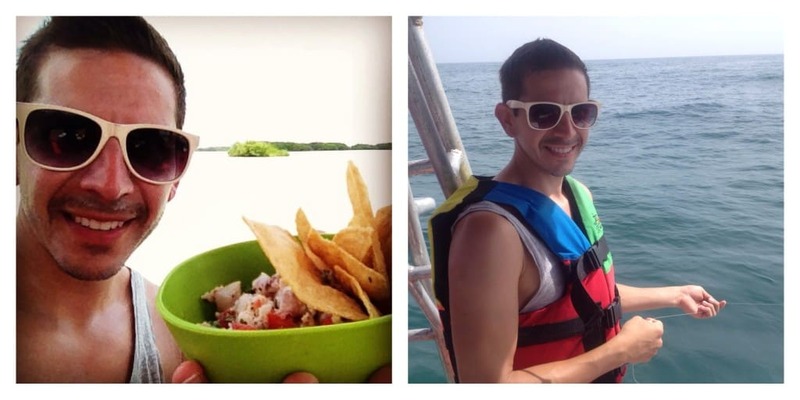 Love traveling but hate planning? Travel alone. No one else can give you opinions about sleeping options, travel methods, destinations, or anything else. When you travel on your own, you’re the only one you need to plan for. Want to see the Eiffel Tower instead of the Vatican? Done. Prefer a villa in Greece over a chain hotel in Portugal? No problem. When you’re the only one traveling, you’re the only one whose ideas matter. Without a companion, you can be sure you get a chance to see everything you want. On our RTW trip in 2012, we split up for a week in India. 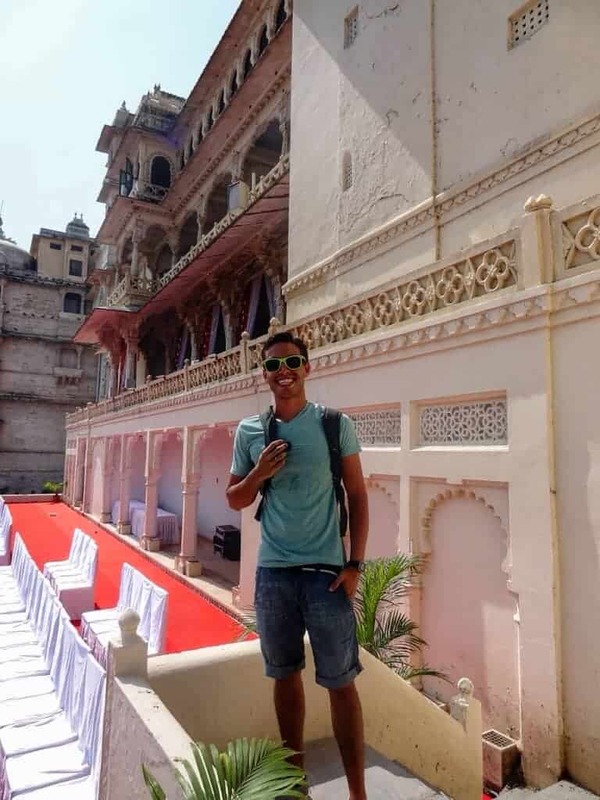 David visited the Uaipur City Palace on his own while Auston’ stayed behind in New Delhi. Some people hate buses. Some hate trains. Some hate flying. Luckily, when you’re traveling alone, what other people think about travel means absolutely nothing. Whether you want to backpack or fly first class, the choice is yours and yours alone. When you have another person around who can make choices for you, it’s easy to fall into a rut and let them do all the deciding. When you’re traveling alone, you’re forced to be independent and come to your own conclusions. After all, you’re the only one in charge! 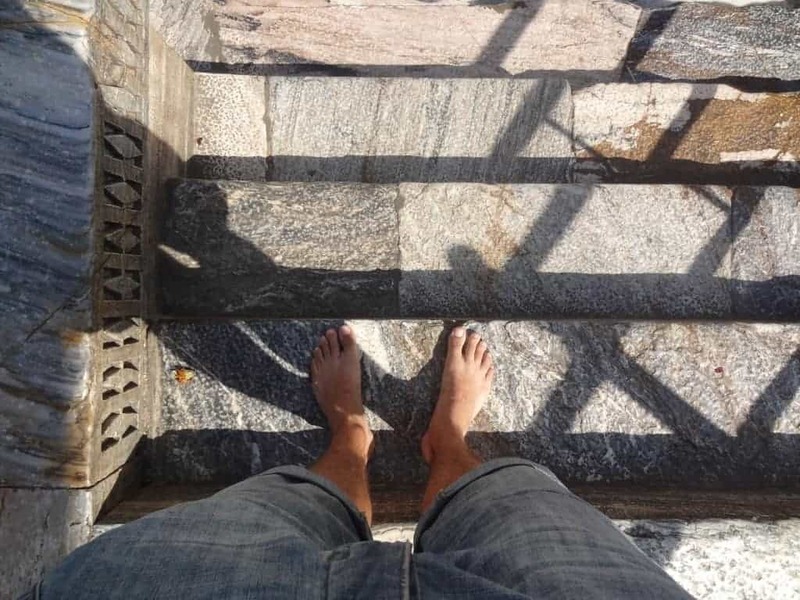 David visiting the Jagdish Temple in Udaipur back in 2012 – removing your shoes before entry was a requirement! Even your best friends or significant other may not share all of the same interests with you, and that’s okay. When you travel alone, you can let your inner nerd out full force. If you want to spend three days in the catacombs in Paris because you think they’re incredible, there’s no one to convince you to stand in the crowded lines at the Louvre instead. 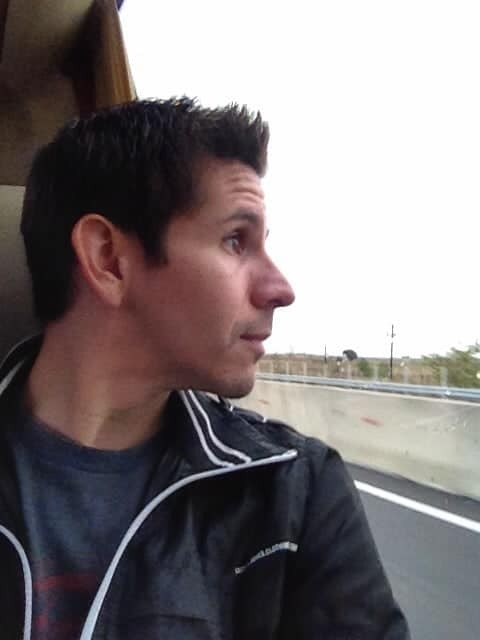 Auston gazing from the window of a bus from Athens, Greece in October 2014. Have that second piece of cake or that second bottle of wine – the only person there to judge you is you! Without another person to keep tabs on, you can indulge as much as you see fit, do what you want and visit the things that matter most to you. There’s no need to fear criticism or snarky comments. Whether you know it or not, you’re great company. The chance to explore some of the world’s wonders without any outside distractions allows you to explore your inner self in a way that is challenging in your busy day-to-day life. Without the need to entertain others, you can truly get to know yourself. Auston visited Barcelona alone in June 2014 just before meeting David in Sitges for pride. If there’s no one with you to cause drama, you’re guaranteed a relaxing trip. Instead of bickering over restaurant choices, seat assignments on the plane, or who gets the good side of the bed in the hotel, you can enjoy an experience free of drama. It’s easier to meet people when you’re alone. Traveling with a friend, significant other or a large group can be intimidating for locals and other travelers, but you’re more approachable alone. You also have more motivation to meet others in hopes of meeting a new friend, travel buddy or a local that can give you insider tips on their city. Have you ever traveled alone? What was your experience? If not, would you consider doing it? Let us know in the comments below! I am always split- I love travelling by myself but then I love going with friends, family and BF as well. A good mix is what I like! I have become a solo traveler for the most part and agree with you 100 per cent. For example I’m presently a house guest in Chandler AZ and I’m in able to make a move without my hosts inquiring as to what I’m doing. I’m under constant surveillance . Definitely agree with all your points. I’m really glad I had the experience of travelling alone, I did all sorts of things while travelling that I would never have done at home so it made me more confident when I got him – if I can do it in a foreign country, I can do it here. Exactly. that’s a good way to put it. thanks for reading! I totally agree with you, I went to Barcelona Barcelona alone from Karachi last year and it was so learning yet exciting trip. I went to sitges, I went to clubs and bars without anyone being judgmental over my choices, at times I felt a little bit bore but it was just me all alone who had to face problems and enjoy moments. I spent afternoons without lunch and walked miles which couldn’t be possible if I had a companion. Thanks for writing such an exciting essay. But when I travelled alone in S.America for half a year (10 yrs ago), there were moments when I got lonely and craved company or a travel partner of some sort. Best vacation I have ever had was when I went to France by myself 1 1/2 years ago. Sure I was staying with family but I told them not to worry about taking time off to do things with me, just go to work and I’ll entertain myself while you are gone. Weekends were spent at family gatherings but I got to explore the city my mom grew up on my one at my own pace and the small village my cousin lived in by walking and bike riding, it was awesome! Can’t wait to do that again! We need to do this more! So far, Zab and I have only really travelled separately for work, not for pleasure. I like the idea of going somewhere together and then splitting up for a week or so then coming back together and comparing notes. Somehow, though we’ve not managed to do it yet! We agree that more than anything it’s empowering. Being alone gives you time to self-reflect, and in the end, it teaches you so much more about yourself. To put it simply, you do you, booboo! I want you to validate what I always feel! I travel 6 care caution to the wind weeks each year in a different place, new foods, unknown languages and off the trodden path and I absolutely love it! Friends think I’m crazy and daring but it is very fulfilling and envigorating. Keep it up. I think your friends are just jealous! I’m used to traveling alone and it is indeed empowering. Though, the longest trip that I have had was way back in 2012 when I went backpack traveling for more than a month all over Australia. I did a couple of travellings in the past which were done mainly in Southeast Asia, and to validate your statements about the essence of travelling alone – yes, of course, it would always make soemone feel to breakfree and enjoy what is hidden out there and my favourite part of it is meeting new people who are mostly friendly than those who live in your hometown. Until today, I am still holding on to my dream that I will, someday, travel the world for an extended period of time and meet the people who can influence me to live happily. People that you can’t see in a world where bigotry and selfishness are patronised. I am due to travel solo to Barcelona in May for 5 days, but starting to worry that it will be too long by myself. Any tips guys? Definitely not too long. There are so many things to see in and around Barcelona. 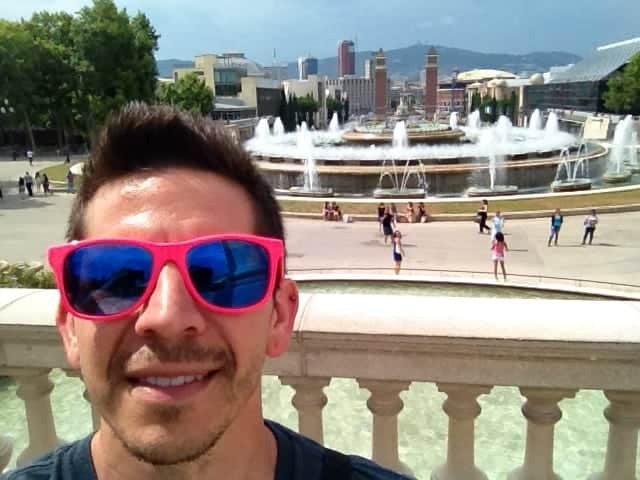 We are actually publishing a complete guide to Barcelona (like this Madrid one: https://www.twobadtourists.com/2015/03/13/gay-madrid-a-gay-travel-guide-to-spains-capital-city/) later this month so keep an eye out for that. Subscribe to our blog posts if you want to get an email when it’s published. Great 10 points, totally agree. I’ve had 3 main solo holidays – Caribbean (loved Bequia), Australia (mainly Perth and also a few days in Sydney – wish I had more time there) and The Philippines (Boracay – fantastic, Manila – yeuk!). Loved every one and would recommend it to anyone. The biggest plus is that it helps you ‘find’ yourself and learn more about yourself (good and bad!). And the friends met en route are always special – it taught me to appreciate the ‘now’ and always be in the present, attentive to everything around. A smile goes a long way! Travelling alone is my favourite because I prefer to spend time off the beaten path, and solo travel allows for that. Last year I spent a few months in Havana and loved every minute of it, even though my partner wasn’t with me. Sure, there were times that I wished my partner or friends were with me, but I made friends easily. Everyone should try at least one solo trip in their lifetime, as you learn a lot about yourself. We agree! everyone should do it at least once just to see what it’s like. totally different. great point! solo travel can be nice in that way. I always travel alone for all of the reasons listed above. Plus I can get bumped up to First Class easier. I’ve done most of my travelling alone. Generally it’s awesome, but it can also be challenging and lonely. Though, the tough times are when you learn the most about yourself and make the best stories! 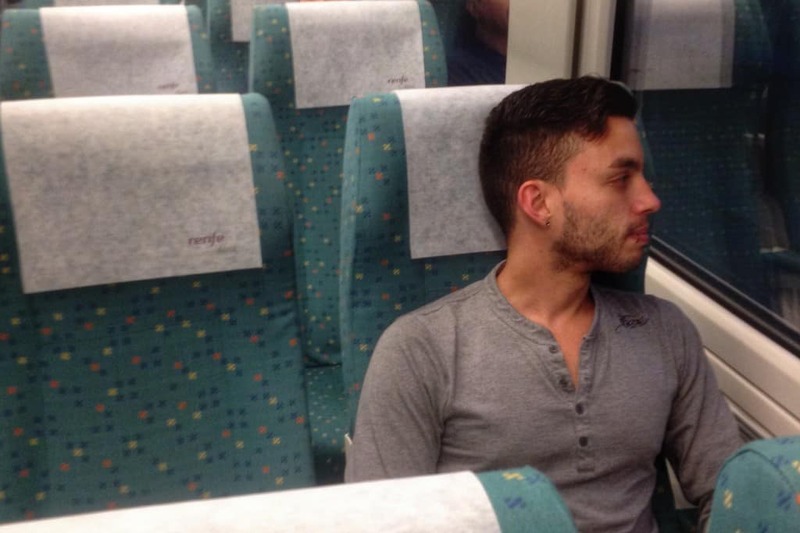 Yep there are definitely two sides to traveling alone. Sounds like you’ve had quite the adventure :-) Thanks for reading and your comments! I always travel alone… I love it!! Will have my first ever solo backpacking trip to Thailand this Nov 5-10! I’m so excited! Hope to meet new friends from other countries! Awesome. We hope you have a great time! Nice article! It’s all true. I have travelled alone many times and it’s really giving me happiness and enjoyment.I’m the only one who makes decision for everything. Anybody should give it a try. The BEST article ever. I am 46 years old and I have always loved to travel ALONE. There is absolutely no drama, and I can relax more and be carefree. I can decide what to do, where to eat, and have my own preference for transportation. Everything is my own decision, because I am a very independent person. I also love the privacy of staying in a hotel all by myself. I just LOVE traveling alone! It can get a bit boring traveling alone, I like to do sort of a hybrid where I’ll travel with people but do most of the exploring on my own (or with whoever wants to come along) then meet back up with the group for dinner and in the evenings, sort of a best of both worlds there. My best vacations were without witnesses! We have been talking about taking some time while on our backpacking trip around the world to split off for a few days or a week and do our own thing. This may inspire us to pull the trigger! Right now we have “me days” and go and do our own thing but never more than a day. More specifically: you can the same clothes over and over and not worry what anyone thinks!